Crowdfunding Web sites have produced some of the most heart-warming stories of the past eight years or so. They also have produced some of the most outraging stories. We have seen examples of both kinds of stories in recent days -- and they remind us of at least one instance where political opportunists used a crowdfunding site in an abusive and dishonest fashion. At its essence, Legal Schnauzer is a site about the human tendency to lie, cheat, and steal -- especially in matters of law and politics. So, these stories about the good and evil crowdfunding sites can generate catch our attention. We obviously are not alone in our focus on human deceit; is it any wonder that a prominent political blog is called Crooks and Liars? On the heart-warming side is a story about Dawn Wells, who played Mary Ann in the hit TV series Gilligan's Island. From a report at Yahoo! As of Sunday (9/9), the Wells campaign had raised $180,091, passing its goal of $180,000. Even in the age of Trump, that kind of makes you feel good. “Due to the enormous public interest in this matter, I am confirming that a search warrant was executed early this morning by the Burlington County Prosecutor’s Office and the Florence Township Police Department at the residence of Mark D’Amico and Katelyn McClure in connection with a criminal investigation into the Johnny Bobbitt matter. Missouri’s Democratic U.S. Senate nominee has orchestrated deceptive campaign finance and organizational practices, according to allegations filed anonymously before seven federal and state oversight bodies. 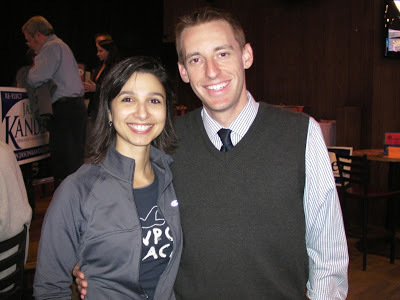 Jason Kander . . . and his allies allegedly devised a secret agenda behind a state referendum plan ostensibly to help children with increased tax on tobacco products, for example. But the “Raise Your Hands 4 Kids” ballot referendum was concocted as a sweetheart deal for the tobacco companies, according to the 127-page memo, and also as an organizing tool in Republican-dominated rural Missouri for what pollsters say is surprisingly strong Senate race by Kander. Alleged manipulation of Tthe New York Times best-seller list and crowd-funding for charitable purposes are among the other allegations. Secondly, since at least November 2014, compelling evidence suggests that Jason Kander has exercised actual and demonstrable behind-the-scenes control of a Missouri nonprofit "public benefit" (charitable) corporation, called "Raise Your Hand For Kids" ("RYH4K'J. Kander and close accomplices then directed this charitable "Kids" corporation to serve as an advocacy group to promote a ballot initiative campaign in Missouri called "Raise Your Hands For Kids" ("RYH4K"). Then, U.S. Senate candidate Jason Kander and close accomplices collected, on behalf of RYH4K, more than $5 million in corporate and individual contributions — including $2 million-plus in individual public donations from Missourians who were solicited to donate money to help the "Kids." Then, because RYH4K is in fact a "candidate controlled" ballot measure committee ("CCBMC'J, controlled by U.S. Senate candidate Jason Kander, this allowed U.S. Senate candidate Jason Kander, and accomplices, to treat RYH4K's $5 million-plus in corporate contributions and individual donations as candidate Kander's $5 million political "slush fund" to use as Kander deems best to further his political candidacy, and personal ambition, to win election and capture a U.S. Senate seat. Among additional allegations, the memo alleges that Diana Kander achieved her status as a “best-selling author” and paid speaker [largely] by raising funds in a deceptive manner in part via crowd-funding site Indiegogo, and then paying experts to game the best-seller system. Those methods have long raised concerns elsewhere, as indicated by such 2013 stories as The Mystery of the Book Sales Spike: How Are Some Authors Landing On Best-Seller Lists? They’re Buying Their Way by Wall Street Journal reporter Jeffrey Trachtenberg and Here’s How You Buy Your Way Onto The New York Times Bestseller List, by Forbes writer Jeff Bercovici. 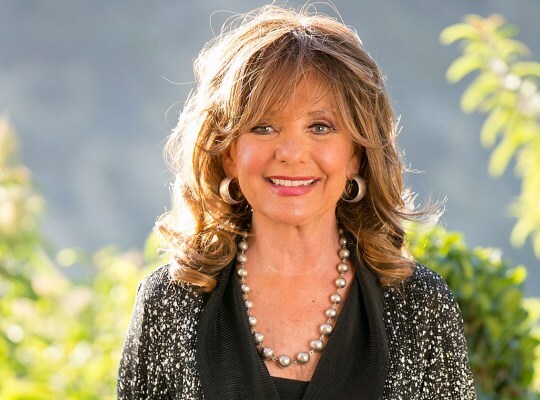 We are pleased to see that Dawn Wells is recovering from a rough patch in her life. As for those who would use crowdfunding for fraudulent purposes, we can think of a warm spot where perhaps they should spend eternity. I've long been a Dawn Wells fan. Glad to hear her friends and fans have helped her recover. It's important to note that Dawn didn't set up the GFM site herself. Her long-time makeup artist did it. Another neat thing about GFM -- when done properly, it's people helping people. I live in Missouri, and I thought we were finished with Jason Kander. He's running for mayor of Kansas City? Damn! I've had a crush on Dawn Wells forever. Ginger or May Ann? One of the great philosophical questions of our times. Real classy for the folks to steal from a homeless vet. They don't make shows like "Gilligan's Island" anymore. Too bad. Mary Ann. Not even close. I always thought Mary Ann and The Professor had a thing goin on. Glad to read "Mary Ann" is getting help and getting better. it is an e.g. of why the U.S.A. needs a decent health care program. health care costs in the U.S.A. can cause almost anyone to loose most of what they had.